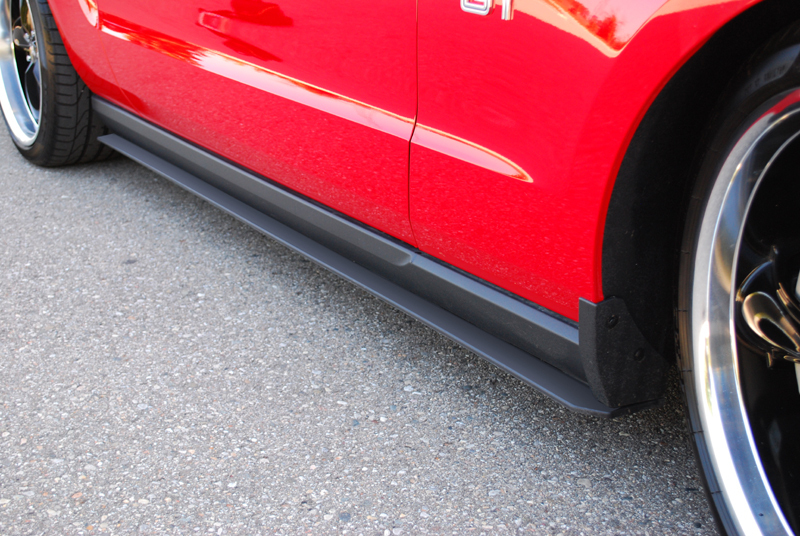 If you are looking for a quick mod, that will change the lines of your Mustang, then you need the Mustang Side Rocker Splitter Kit from Classic Design Concepts. These pieces simply attach to the bottom of your side rockers, and are manufactured with a high-strength thermal plastic olefin. It is shaped the same way OEM parts are made, with high-pressure injection molding, and comes unpainted with a grained-texture finish.